Have you ever seen a whale? Can you imagine your best family vacation in Costa Rica, looking at the sea for whales? In the South Pacific of this natural paradise, each year, the Humpback whales arrive to reproduce and give birth to their calf. 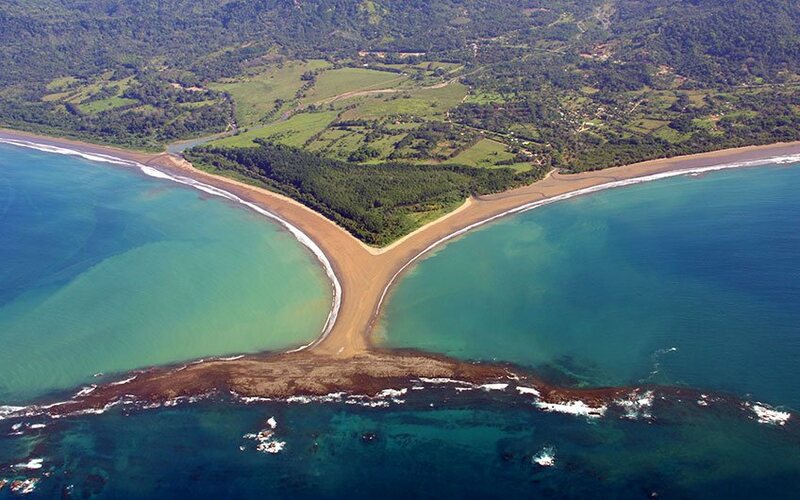 Marino Ballena National Park, located in Uvita Costa Rica, is the place where most of them are concentrated. The area has an extension of 110 terrestrial hectares, and 5 375 marine hectares. It was created to protect and conserve the natural ecosystem for the biological communities that are there, or arrive to give birth and for nesting. One of its specific characteristics of the area is that there is formed a whale tail; inside the national park, there is a rocks and sand formation that during the low tide it seems like a whale tail, specially if you are looking from the air. The natural resources in the area are admirable, it has an important coral reef, and it is also very common to see crabs, dolphins and different species of marine birds. In fact, is important to mention that Costa Rica has the 4% of the world biodiversity and the 25% of the territory is covered by national parks, and the most important is that almost the 50% of the Costa Rica biodiversity is concentrated in the Osa Peninsula Corcovado area, very close to Uvita Costa Rica. We would like to invite you to come and visit this unparalleled attraction and enjoy an unforgettable family adventure. Let us share with you this amazing experience that the traveler Peter Conrad had in this natural paradise. “I spent some incredible family vacations. This country is such a beautiful place with amazing beaches, great people and good vibe. We traveled through all the country but I want to talk about one of the day tours we took: the whale watching tour. It is just a magnificent tour… It will blow your mind away. We traveled from the capital city of the country San José to Uvita Beach by driving our own rented car, but you can also travel on bus. It took approximately 4 hours to get there. Uvita’s waters are excellent for swimming, snorkeling and diving offshore. Located just to the south you can find the Marino Ballena National Park, a great place to watch Olive Ridley and Hawksbill turtles coming ashore to nest, and Humpback whales migrate through the waters, especially during the months of September and October. Each year in Costa Rica takes place the Whales Festival, specifically on September. During the festival different activities took place for example: cycling, sand sculpture competition, photography exhibition, concerts, environmental workshops, typical meals tasting and more; all of them were aimed to general public. The tour began at 9 o'clock and we were really excited. We got to the water in a little boat and our guide, Cesar Fonseca, explain all the rules we needed to follow if we wanted to have an amazing experience. He was so kind and thoughtful. Also, he explained everything we needed to know about these amazing creatures. We were very, very, very lucky! We watch 5 whales and a sea turtle just like the ones you see on the film “Finding Nemo”! The specie that we saw is called humpback whale. I swear to you, after I watch the first whale jumped… well, it just made my day if not my whole weekend! Cesar explained us that this type of whales feed only in summer, in polar waters and migrate to tropical waters to breed and give birth. 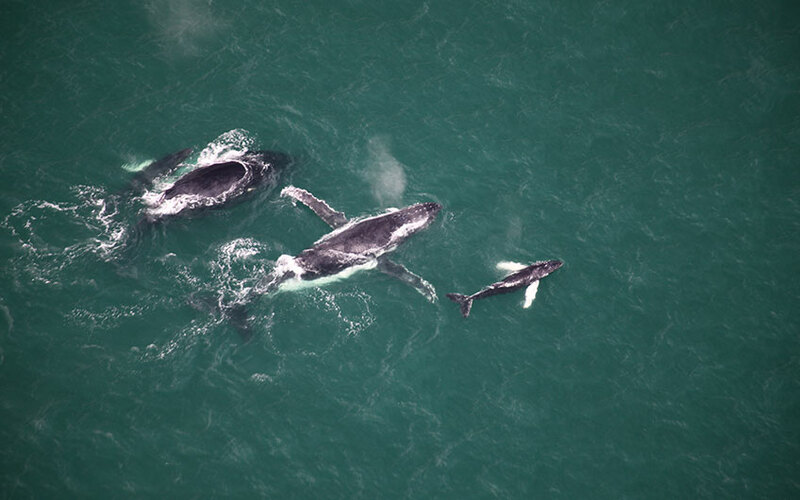 While we were watching a “little” baby whale playing with its mom, David Palacios, a biologist from Keto Foundation, talked with us about the history of the Humpback Whales. He was very kind too. He is working with Keto Foundation on an investigation of this specie of whales. This Foundation is devoted to the marine and coastal conservation and development programs with communities. After some minutes we got to see a third whale, it was a male, and David and Cesar explained us that he was trying to get the mothers attention. Hope you can make a Costa Rica travel anytime soon! I promise you would be charm by all its magic! 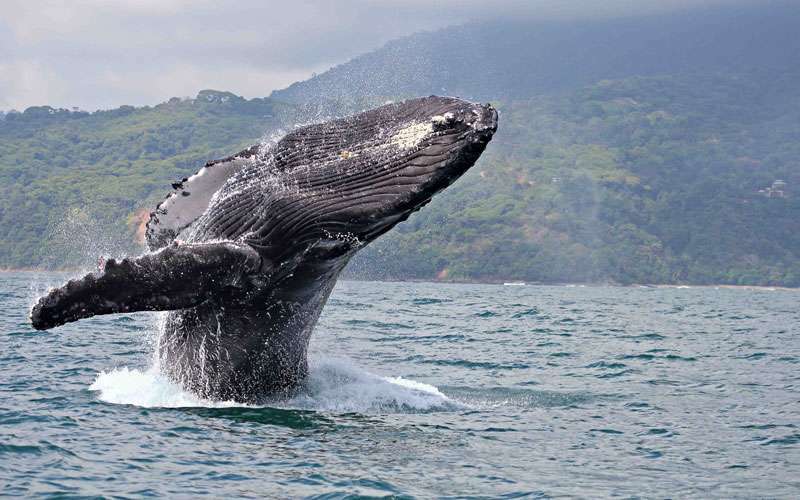 Watch this amazing video of a Humpback Whale in Marino Ballena National Park, leave us a comment or contact us for more information about your Costa Rica vacation packages.